Saturday 12 January at 15:30, 16:30, 17:30 – “Frosty Time” – Extra Music class open for all. Saturday 22 December at 09:00, 10:00, 11:00, 12:00 – “Christmas Day” – Extra Music class open for all. 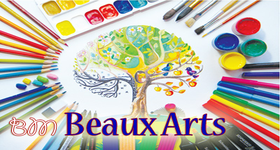 Tuesday Thursday 11-13 September – Beaux-Arts. Pre-opening – Discovery class open to all ! 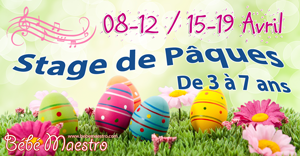 Sunday 20 May at 15:30, 16:30, 17:30 – “Musique d’ailleurs” – Extra musical class for whole family. (free for the 2nd child < 1 year old) Valid for a trial class (15€) subject to available places. Saturday 24 March at 15:30, 16:30, 17:30 – “Chasse aux œufs” – Extra musical class for whole family. Saturday 17 February at 15:30, 16:30, 17:30 – “Rio Venezia” – Extra musical class for whole family. Saturday Sunday 13-14 January at 15:30, 16:30, 17:30 – “Frosty Time” – Extra musical class for whole family.